Zirconia Crowns in Mexico near Yuma, Arizona are a pocket-friendly way to restore the shape, strength and size of damaged teeth. 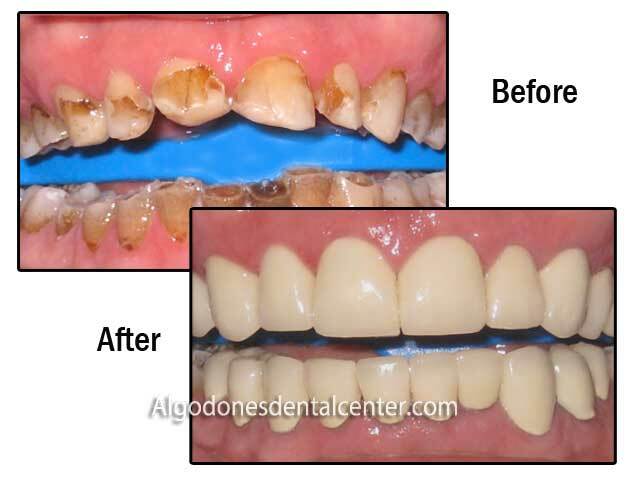 Cracked, chipped, worn off or decaying teeth can be covered by dental crowns. 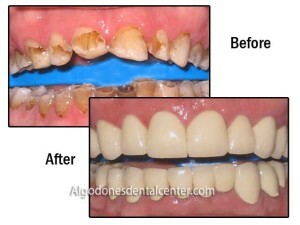 These fit over whatever remains of the affected teeth, and restore aesthetics and strength in them. 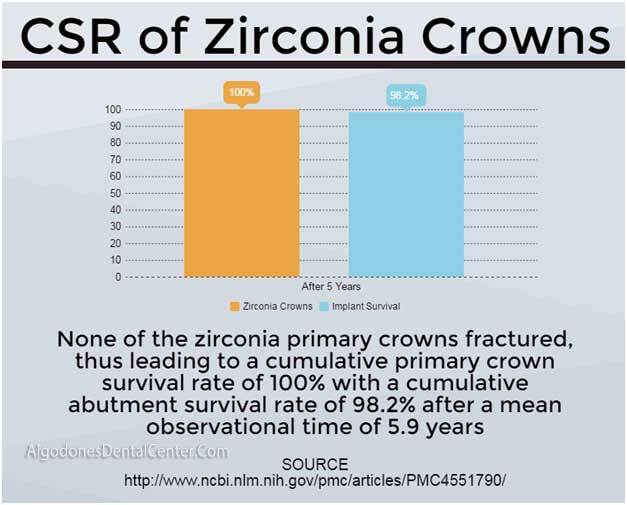 Crowns made of zirconia – an all-ceramic material – are known for their biocompatility and strength but may cost a lot in the United States or Canada. However, cheaper options for zirconia crowns exist in Mexico just a few miles from Yuma. Unaffordable dental costs, lack of health insurance and dental benefits are primary factors for pushing westerners to cross-country dental care in Mexico. As per an American Dental Association (ADA) statement released in 2015, there was a high prevalence of dental caries among the US adults. 91% of Americans over 20 have had cavities at some point in their lives and 27% of adults over 20 have untreated caries1. The American Academy of Implant Dentistry (AAID) states more than 35 million Americans are missing all their teeth in one or both jaws and 15 million people in the U.S. have crown and bridge replacements for the same. Los Algodones is a tiny border town in Mexico less than 10 miles from Yuma. The border town has a reputation for being a lot safer than other cities bordering the United States. It has established itself as a prime medical tourism destination in the world as it is home to hundreds of clinics offering dental care for just about a third of the prices charged in the United States. Zirconia crowns – also known as metal-free crowns – allow you to have your worn-off, decaying and missing teeth replaced effectively. 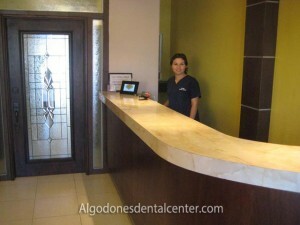 We charge just $450 for a Zirconia Crown at our dental clinic in Algodones. Compare this with the average price charged in the United States and you will know the immense savings you enjoy south of the border. After crossing in to Los Algodones from the Andrade Port of Entry you will have to walk just a couple of blocks to reach the clinic. 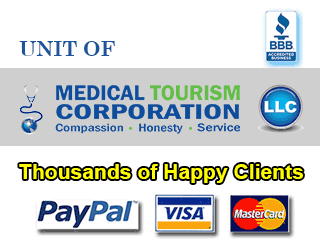 We want you to have a memorable experience in this border town where you can regain your smile and confidence. It can be reached off the Interstate 8. The actual border crossing, however, is at Andrade, California. It is open from 6 A.M. to 10 P.M. Many travelers park on the U.S. side in one of the parking lots and walk across to Algodones. Alternatively, you can park your car FREE of charge at our parking lot, which is just two blocks away from the border at Alamo Street. A Mexican auto insurance is mandatory for those entering the country in their own car. Get two-year warranty on your zirconium crows from the day of placement of your dental prosthetics (terms and conditions apply). A single tooth zirconia crown will cost you just $450 in Algodones. The average price quoted by dental offices in the United States can be 70% to 80% higher than in the Mexican border. In comparison to the US, real estate and labor costs are lower in Mexico. The cost of setting up a dental clinic and maintaining the same in the US can run into thousands of dollars. In Mexico, dentist’s education is subsidized by the government. The students don’t graduate with high dental education debt as their American counterparts. The cost of dental procedures is less in Mexico because of reduced insurance costs. 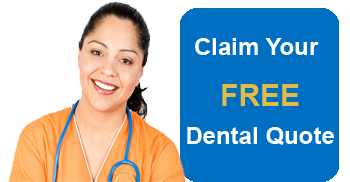 It is not mandatory for dental clinics in Mexico to have malpractice insurance. More elaborate procedures too such as full mouth rehabilitation or all on 4 implants in Los Algodones also cost much lower than in other parts of North America. *Please note that the prices mentioned on the website may be changed without any prior notification. Fill in the quote-form on the website for the latest information. According to a 2015 study by Rinke S and colleagues, they have a cumulative survival rate (CSR) of 100% with a cumulative abutment survival rate of 98.2% after a mean observational time of 5.9 years3. To know more and get a FREE Quote, fill in the contact form on the website.